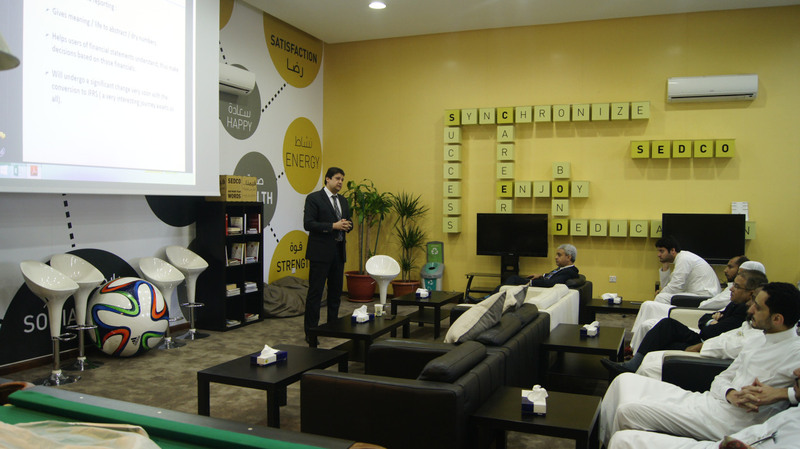 During the fourth quarter, the Group enjoyed three ‘lunch and learn’ sessions held casually at Al-Majles. The luncheons were organized on monthly basis to enhance work relationships and to elevate the employees’ wealth of culture and breadth of knowledge. Dr. Kamal Abdulaal presented in October the ‘art of dialogue and persuasion’, followed in November by Mr. Yasser Ghandour’s presentation of the new regulations and amendments of the Saudi Labour Law. Finally, in December, Mr. Mahmoud Abu Mansour presented the Group’s ‘Financial Reports’.